DANIEL PIPES: CHRIS CHRISTIE’S ISLAM PROBLEM……. – The Tundra Tabloids……. DANIEL PIPES: CHRIS CHRISTIE’S ISLAM PROBLEM……. 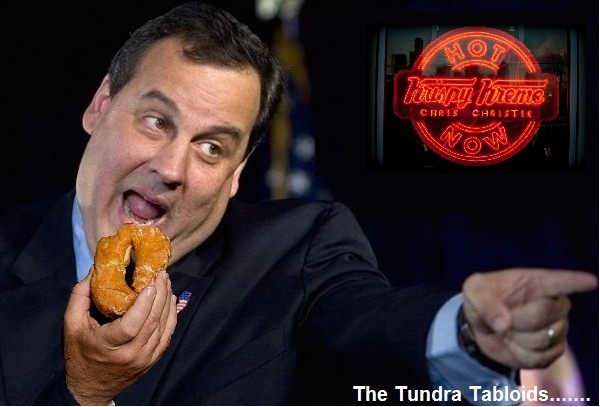 Chris Christie has all kinds of problems, like inhaling big government schemes like he does donuts. A Quinnipiac poll in April showed Chris Christie the most popular potential Republican vice-presidential candidate, thanks to his budget cuts and standing up to government employee unions. But the governor of New Jersey has a problem, specifically an Islam problem, in the way of his possible ascent to higher office. We regret to report that, time and again, he has sided with Islamist forces against those safeguarding American security and civilization. 2008: When serving as U.S. attorney for New Jersey, Christie embraced andkissed Mohammed Qatanani, imam of the Islamic Center of Passaic County, and praised him as “a man of great goodwill.” He did this after Qatanani had publicly ranted against Jews and in support of funding Hamas, a U.S. government–designated terror organization, and on the eve of his deportation hearing for hiding an Israeli conviction for membership in Hamas. In addition, Christie designated a top aide, Assistant U.S. Attorney Charles McKenna, to testify as a character witness for Qatanani. 2010: After Derek Fenton burned three pages of a Koran at a 9/11 memorial ceremony, his employer, New Jersey Transit, got Christie’s approval to fire him. Christie vocally endorsed Fenton’s termination, even though this meant protecting Islam at the expense of Fenton’s constitutional right to free speech, declaring, “I don’t have any problem with him being fired.” The American Civil Liberties Union successfully represented Fenton to get his job back. 2011: Christie appointed an Islamist, Sohail Mohammed, to the New Jersey state superior court. Mohammed’s record includes serving as general counsel to the American Muslim Union (which has stated that a “Zionist Commando Orchestrated The 9-11 Terrorist Attacks”), acting as spokesman for Muslim prisoners who went on a hunger strike due to being jailed during Ramadan, defending Palestinian Islamic Jihad operative Sami Al-Arian (whose indictment, Mohammed said, was “nothing but a witch-hunt”), and helping Qatanani’s legal defense. Mohammed is not a lawyer for Islamists but one of them. Previous Post Previous Post DUTCH MP GEERT WILDERS APPEARS ON SEAN HANNITY PROGRAM……. Next Post Next Post DR.MANFRED GERSTENFELD: THE SHALOM EISNER AFFAIR AND THE UN……. I’m watching that series by Frank Gaffney that you recommended. It seems like many significant leaders of the GOP have an “Islam Problem”. Actually, this is nothing new; just a morph. Prior to 9/11/01, Islamists lobbied the GOP via the petroleum lobby. Since then, they’ve gone direct. Absolutely, and Chris Christie is one of them…I hope he doesn’t get the nod for VP. That said, if the Repubs are that badly infiltrated, just imagine the state of the Dems. I will qualify one thing, I will vote for Romney this time around, due to the dire straights of the Republic, and work to ensure that the Repub party is inflitrated with with good Tea Party candidates that will turn the GOP around. The Dems right now….. are lost, having become a bonafide statist/socialist party. Yes, I’ll vote for Romney and whoever, but hope Romney does not pick Christie. Christie does have an islam problem. I like his no -nonsense attitude as a governor, but not sure the rough edges would translate into a “heartbeat away from the presidency”. Speaking of hearts, the guy is a heart attack waiting to happen. I do not wish that on him at all, but it is a reality he is not confronting and which could say something about his personality. Christie is not only a fat slob, he is a fat slob POS!